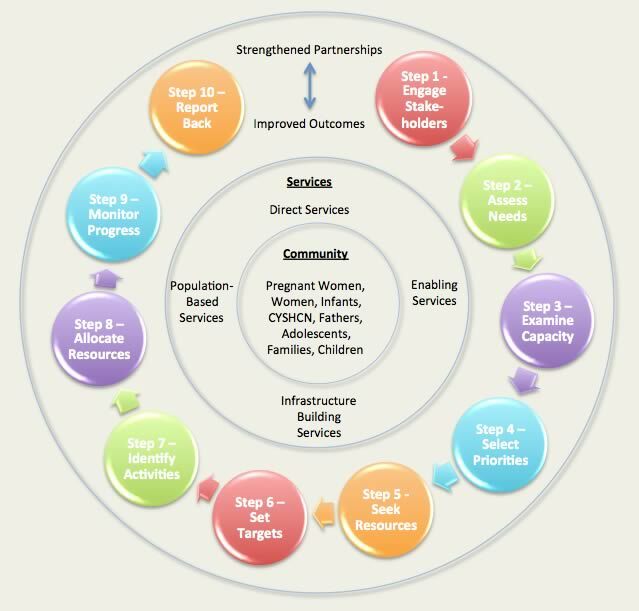 Needs assessment is a systematic process to acquire an accurate, thorough picture of thestrengths and weaknesses of a state's public health system that can be used in response tothe preventive and primary care service needs for ALL pregnant women, mothers, infants(up to age one), children including children with special health care needs. The needsassessment process includes the collection and examination of information about thestate's capacity and infrastructure, needs, and desired outcomes for the MCH population,and legislative mandates, etc. This information is used to determine priority goals,develop a plan of action, and allocate funds and resources. The needs assessment is acollaborative process that should include the HRSA/MCHB, the state Department ofHealth, families, practitioners, the community, and other agencies and organizationswithin each state and jurisdiction that have an interest in the wellbeing of the MCH population. Title V of the Social Security Act requires states to conduct a statewide needs assessmentevery five years. States reported on the five-year needs assessment in calendar 2015 aspart of the FY 2016 MCH Block Grant application process. States submitted a five-yearneeds assessment summary that concisely describes the process and findings. As theneeds assessment document may serve multiple purposes, a state may wish to develop amore comprehensive document to meet its broader needs. Over the five-year reportingperiod, states are encouraged to continuously revisit the five-year needsapplications/annual reports. Furthermore, it is expected that states will have ongoingcommunication with stakeholders and partners throughout the needs assessment processand continue to engage with such partners during the interim reporting years. The figure illustrates the continuity of the needs assessment process and its relationship to the planning and monitoring functions of Title V and the population that it serves. The primary goal of the statewide needs assessment is to improve MCH outcomes and to strengthen its state, local, and community partnerships for addressing the needs of its MCH population. Community Partnerships and Perspectives-Intermediate Level. Date Developed: Unknown. Source: South Central Public Health Partnership. Presenter(s): Linda Usdin, Ph.D.; Anne Witmer, M.P.H. ; Theodore Quant. Type: Online Course Video. Level: Intermediate. Length: 225 minutes. Creating Innovative Cultures. Date Developed: 2011. Source: Maternal & Child Health Public Health Leadership Institute. Presenter(s): Claudia Fernandez, Ph.D.. Type: Narrated Slide Presentation. Level: Introductory. Length: 25 minutes. Introduction to Program Monitoring and Evaluation in Maternal and Child Health: Session Two – Program Description and Logic Model. Date Developed: Unknown. Source: South Central Public Health Partnership. Presenter(s): Francouise Grossmann, RN, MPH. Type: Video Slide Module. Level: Introductory. Length: 120 minutes. Policy Analysis: Selection and Analysis of Policy Alternatives and Policy Feasibility. Date Developed: 9/15/13. Source: University of Illinois at Chicago, School of Public Health. Presenter(s): Arden Handler, DrPH. Type: Narrated Slide Presentation. Level: Introductory. Length: 39 minutes. Principles of Public Health: PH 101. Date Developed: Unknown. Source: University of Utah Public Health. Presenter(s): n.a.. Type: Online Course Training Series. Level: Introductory. Length: 240 minutes. U.S. Maternal and Child Health Bureau. 2016. State application/annual report. Rockville, MD: U.S. Maternal and Child Health Bureau. U.S. Maternal and Child Health Bureau. 2016. State priorities. Rockville, MD: U.S. Maternal and Child Health Bureau. Association of Maternal and Child Health Programs. 2015. Data to action: Needs assessment, performance measurement, and practice. 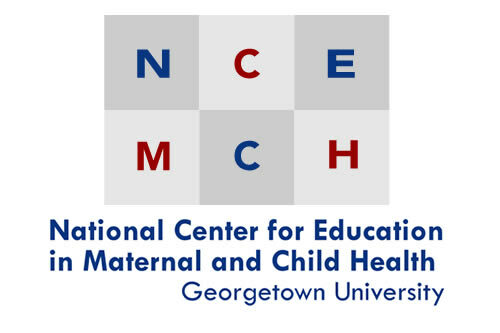 Washington, DC: Association of Maternal and Child Health Programs. 4 pp. Data Resource Center for Child and Adolescent Health. 2013. Child health data for Title V needs assessment (rev.). Portland, OR: Data Resource Center for Child and Adolescent Health. 2 pp. Freeman VA. 2013. State maternal and child health agency priority needs and performance measures for 2000, 2005, and 2010: Report of findings. Chapel Hill, NC: University of North Carolina at Chapel Hill, Cecil G. Sheps Center for Health Services Research. 40 pp., exec. summ. (5 pp.). Freeman VA. 2010. Improving oral health for mothers and children: Oral health priorities and surveillance in state MCH Title V agencies. Chapel Hill, NC: University of North Carolina at Chapel Hill, Cecil G. Sheps Center for Health Services Research. 26 pp. Freeman VA. 2010. Very low birth weight babies delivered at facilities for high-risk neonates: A review of Title V national performance measure 17–Final report. Chapel Hill, NC: University of North Carolina at Chapel Hill, Cecil G. Sheps Center for Heath Services Research. 41 pp. Freeman VA. 2009. State maternal and child health programs to address the health and health care needs of women: Final report. Chapel Hill, NC: University of North Carolina at Chapel Hill, Cecil G. Sheps Center for Health Services Research. 43 pp. Koshel J. 2009. Promising practices to improve birth outcomes: What can we learn from New York? Rockville, MD: U.S. Maternal and Child Health Bureau. 57 pp.